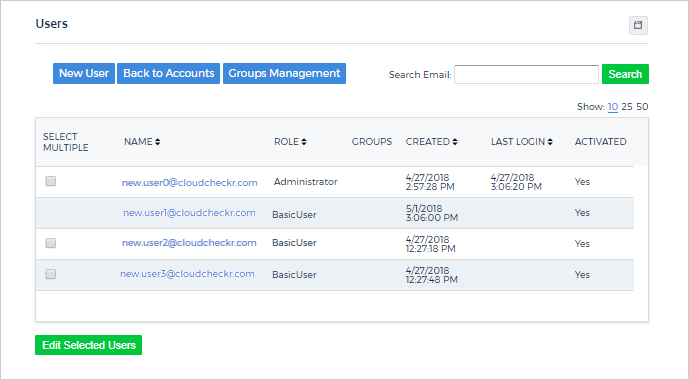 Customers can manage permissions, rights, and visibility for all users in their accounts using a range of user management features in CloudCheckr. Customers can also manage users programmatically using the admin-level API. For more information, see the Admin API Reference Guide.